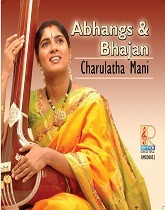 Charulatha Mani: Now on iTunes - "Abhangs and Bhajans"
But do you think people buy mp3 songs online much? I do agree that the trend is improving and maybe in future they might buy more. What are your thoughts on this?